Are you happy with the way your country is being run these days? Are you happy with environmental degradation, with the depletion of natural resources and the prospect of climate change? Are you happy with the increasing concentration of wealth in the hands of the wealthy? Are you happy with the calibre of political discourse today? Are you happy with your politicians? I’m going to venture a guess and suggest you’re probably not terribly thrilled with many, or even all, of these things. Neither am I. It seems the time is ripe for revolution. The Occupy Wall Street movement called for one. So has Russell Brand. Egypt had one (and is still having one). And with dissatisfaction in government increasing in many developed countries around the world, it’s likely there will be many more itching for one. But “traditional” revolution is not easy to get going. And even harder to get right. It takes a critical mass of people ready to risk all they have in order to push for something better. This works when the revolutionaries have little to lose, not so well when they covet their widescreen TVs and iPads. It also takes a wave of support to mobilise everyone at once; a trickle of rabble rousers doesn’t a revolution make. I haven’t much stomach for the kind of fast and loud revolution that people like Brand are calling for. I’m not really the activist type. I’d prefer to think up a snappy slogan than hold one aloft in a crowd. 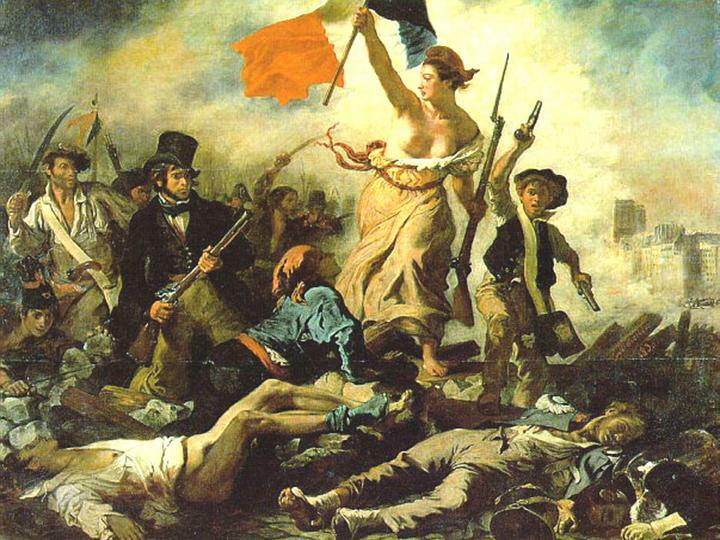 I’d prefer to enact change carefully and methodically than risk it running out of control – which is how revolutions normally go (*cough* Egypt). So I want to propose an alternative approach to overhauling The System, one that aims to enact the same radical change called for by OWS, Russell Brand and others, but seeks to do so without the pitchforks and guillotines. I call it Slow Revolution. Should Voters Pass a Test Before Voting? “The best argument against democracy is a five-minute conversation with the average voter.” So (allegedly) said Winston Churchill. And who’s to disagree? Exhibit A: the comments to my recent column on the ABC’s Drum, which bemoans that “we have stopped discriminating between argument and sophistry.” Seems few in the comments – even those who appear to agree – attempted to do just that in the spirit of elevating the debate. Instead, it wallowed in the usual name calling and obtuse table thumping. Irony died a little that day. But what I want to do now is go beyond the call to arms for reasonable people and wonder what to do about the unreasonable ones, given the votes of both are weighted the same. 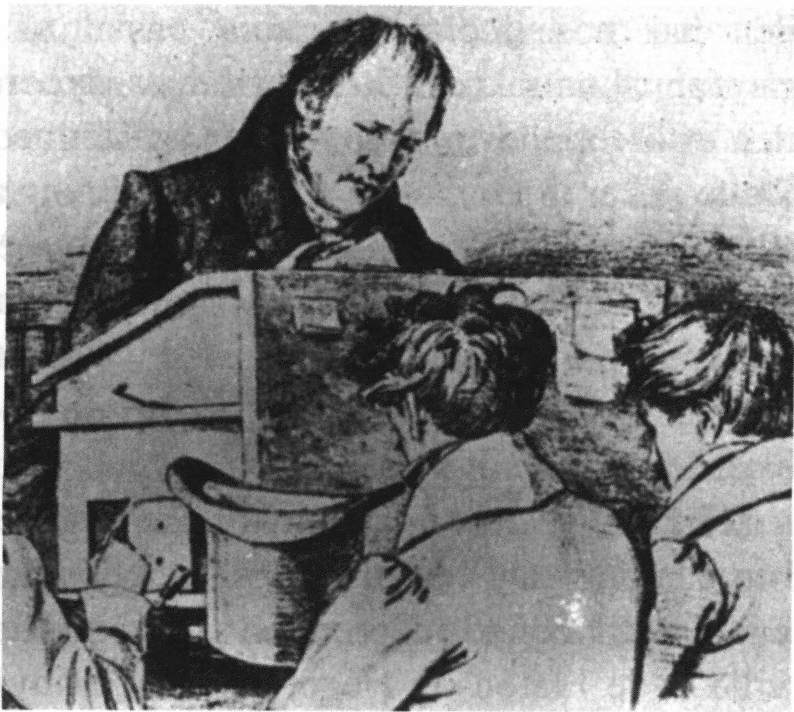 Often raised in this context is the debate between compulsory versus voluntary voting, such that the disengaged or apathetic are less likely to vote than the engaged and informed. But I want to sideline that debate for now and get to a more fundamental question of electoral reform: should voters have to pass some kind of test before they qualify to vote? Conservatives are from Mars, Liberals are from Venus. So says Chris Mooney in his new book, The Republican Brain. I tend to agree. I’ve written as much on this blog back in 2010, and on the ABC’s Drum website again in 2011. The thesis is that liberals and conservatives tend towards very different psychological make-ups. Political psychology studies have shown that liberals and conservatives are measurably different along a number of different axes. For example, liberals tend to have higher scores than conservatives in Openness in personality tests. This means liberals tend to be more curious, inquisitive and exploratory when it comes to information and opinions. Conversely, conservatives tend to be less experimental, more rigid in their thinking and more dogmatic. Liberals also tend to exhibit greater integrative complexity – which is a metric that measures the tendency to incorporate many different pieces of information into forming an attitude or making a judgement. It’s kinda ‘shades of grey’ thinking. Conservatives, on the other hand, tend towards more black and white thinking. None of these things are rock solid. There’s no determinism at the root of this. But there are clear leanings amongst those who self-identify or vote one way or the other. Do these psychological differences contribute to the differences of opinion among liberals and conservatives? Could they help explain why a majority of conservatives reject anthropogenic climate change, for example? What is society? Or, more importantly, what’s it for? And how do we want it to be? It seems there are precious few asking questions like these. And while the Occupy Wall Street movement appears to be rebelling against the way society is structured today, and the direction in which it’s travelling, this rebellion is only the first step. Identifying that there’s a problem is one thing, diagnosing it in detail another. And then there’s the ultimate goal of figuring out how to fix it. In this post I offer my take on the underlying issues with our conception of society and its function that I believe underlie the Occupy Wall Street movement’s grievances, and in a future post in this series, I’ll offer some suggested alternatives that might take us in a more fruitful direction. This is part two of my series on Beyond Occupy Wall Street. You can find part one, where I put the boot into contemporary economic dogma here. In this post, I focus on politics. Or, more specifically, on the failure of the 20th century political paradigm to accord with a 21st century world. Basically, the Left-Right political spectrum as we know it is defunct and, as a result, we’re seeing the political parties of the last century struggle in many democracies around the world, not least in Anglophone world. In the U.S., Obama was supposed to liberate the country from the bitter partisan politics of the Bush Jr. era, where the Left and the Right had become violently polarised and infected by base-appeasing populism, meanwhile lacking the courage to make the tough decisions that are required to set the country straight. But even Obama – with his feel-good “there’s only the United States of America” – failed to bring the warring parties together. The recent debt crisis is but one of many, many examples of the abject failure of the two major U.S. parties to put their knives down and govern in the interests of the nation. Not to mention the banality of Fox News and the Tea Party, offering hopelessly simplistic solutions to complex problems – some real, and some fictitious. 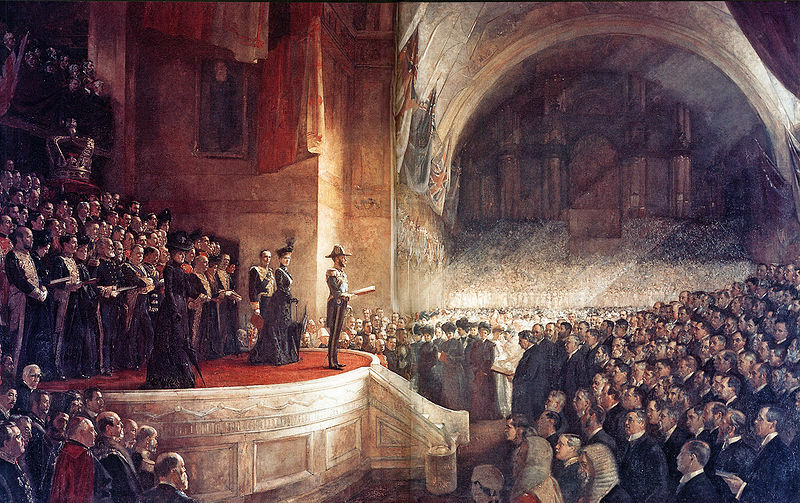 In the U.K. and Australia the last elections resulted in hung parliaments, largely due to disillusionment with the major parties and the parlous calibre of political debate. Both countries saw a protest vote lobbed against a long-term sitting government that had gone stale, yet the voters proved unenthused at the prospect of the alternative governments on offer. The result is minority government, with uneasy coalitions formed, which are unlikely to survive the next election. I happened to visit London for the first time only a few months ago. While there, I visited friends living in Tottenham, only blocks from the recent outbreaks of rioting and looting. It’s alarming to think the bustling streets, filled with families going about their business and small shops serving a plethora of wares, have been replaced by broken glass, burning police cars and hooded youths hurling bricks and looting stores. Many have sought the roots of the London riots, often citing the police shooting of Mark Duggan. But it would be naive to think the current spate of rioting and looting, taking place across London, is entirely fuelled by outrage at a perceived case of injustice. 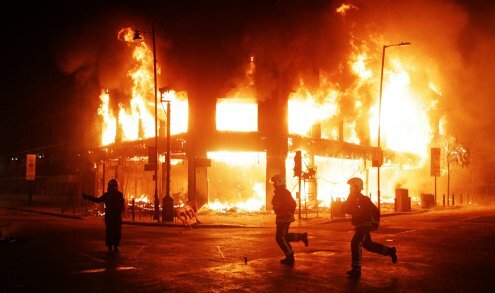 At the root of the London riots is a deep disaffection by many youths, a disconnection from their communities and the broader society, and a lowering of social norms that would inhibit such wildly destructive behaviour. And it’s likewise naive to think that police action alone can contain this outbreak, or that the threat of further police action can prevent it from happening again. The current fancy of religion being intertwined with political conservatism in the United States (and here – we have our own Family First party) is a fleeting trend, and one that is entering its final throes. So said Robert Putnam in a wonderful lecture he gave tonight at Sydney University. I’m inclined to agree – and not only because I want to agree. 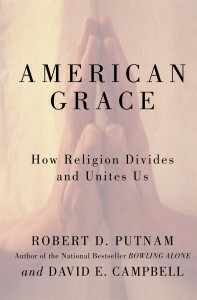 Putnam’s argument – also espoused in his new book, American Grace – was that the close relationship between religiosity and Republican partisanship that we see today only started in the early 1990s, and began as a wedge strategy intended to galvanise a conservative base against encroaching liberalism by appealing to the pervasive religiousness of most Americans, tapping in to socially conservative issues such as abortion as the hot buttons. And it worked. Putnam showed evidence that around the early 1970s there was no correlation between religious attendance (as a proxy for religiosity) and partisan preference. In fact, in the late 1960s, if you were more highly devout, you were more likely to vote Democrat. But that had all changed by the 1980s, and particularly into the 1990s. Makes sense. Old school Republicanism used to be represented by the north-eastern industrialists – hardly a religious bunch. Too distracted by money and cigars. Conversely, there were the ‘southern Democrats’ who, until the quakes of the civil rights movement rocked their foundations, were deeply religious but were working class and voted for labour and community issues. But in the 1990s that changed. And it’s already beginning to backfire. The United States now sports a record number of what Putnam drolly calls “young nones”; the now 18% of the population – and upwards of 30% of youth – who list their religious affiliation as ‘none.’ However, it’s presumptuous to assume they’re atheists; many still profess a belief in God, but they disassociate with organised religion. Putnam’s thesis is that they see the vitriol of the religious right directed towards progressive social issues, and they identify religion – particularly evangelical Christianity – with homophobia, militant anti-abortionism, bigotry and other socially conservative positions that are thoroughly unsavoury to minds shaped by the liberal 1990s. So they move on. Both from organised religion and from Republicanism. As the old conservatives – the relics of the pre-1950s world – die off, these ‘young nones’ will start to have a much greater impact on politics. The upshot: perhaps we can hope for a world where religiously-fuelled extreme social conservatism is divorced from politics. In fact, let’s not hope. Let’s expect it. Let’s stop giving credence to the extreme religious lobby. When they pop their heads up and spout some ludicrous line, such as that art should pass through a classification board, let’s just chuckle and say “well, extremists would say that” and move on to more important matters, like deficit reduction or mitigating climate change. Religion isn’t necessarily socially conservative. Certainly, organised religion leans that way – group membership, loyalty, in-group favouritism and out-group vilification etc are how organised religion stays organised. But religions also preach love, charity, forgiveness, peace – all bastions of progressivism. By crikey, it’ll be nice to look back on all this. To look back on the 2000s and remark at how aberrant this religiosity was. It may not take long before we’re looking back with a wince and a sigh and saying just these things.